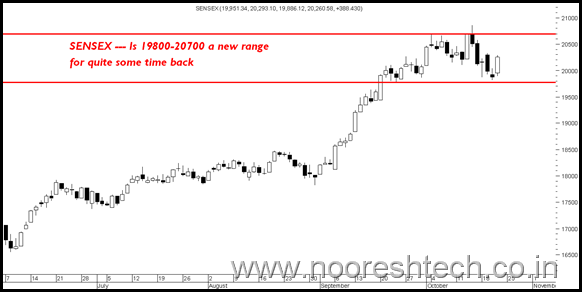 Last few bottoms can be seen around 19800-19850 which has not been broken. On the upside 20700 seems a resistance zone. So maybe index may get ranged with stock specific moves. 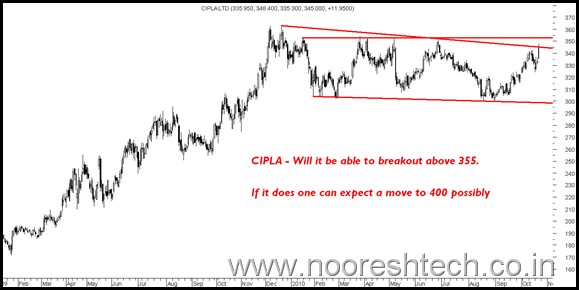 Finally after a few months of consolidation the stock has given a nice breakout. Expect a move to 212/225/250 in short term. Recommended to clients today at 200. Seems an interesting techno funda pick at current levels. Investors can keep a watch for a quick 20% move. A possible trading opportunity for 40 bucks. MTNL seems to be gathering a lot of punter attention. Buy the stock above 71 for a quick move. JM Finance buzz of stake sale at 70 bucks. speculative buy at 43-41. Midcap Banks like City Union Bank,Syndicate Bank, IDBI Bank and some others which have not moved much may get into momentum soon it seems. Amarjyothi Spinning Mills and Donear Inds look ripe for a quick 15% jump in textile segment. Camson Bio and Fedders Lloyd deserve a fundamental check at current levels. K S Oils looks interesting for a turnaround and the stock maybe headed to 60 + levels. 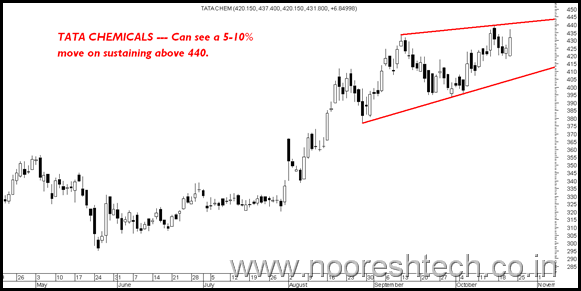 Orchid might be a takeover candidate and could see a spike to 350. Guj Pipavav/Eros Media/Talwalkar from the newly listed segment may see explsosive moves in coming months. High risk traders can keep a watch. Bedmutha after a superb run may go the thinksoft way on lower freeze. Smart accumulation being heard in Bombay Dyeing which may turnout to be a multi-bagger. EKC may soon come out with an announcement of a plant selloff. Smart investors seem to be getting a liking for Mirc Electronics,Smart Link, Everest Inds, Greenply Inds,Monsanto. Oil and Gas stocks like HPCL, BPCL,ONGC as well as Reliance Inds would be the next sector to watch for surprises. Essar Oil may surprise with a big move in next 2-3 months with some positive developments. After a break of sessions outside Mumbai we are back with a string of training programs to be conducted in your city. What’s ur view on Megh’Mani’ Organics? I’m looking at it from mid term prospective (12 to 18 months period). One could look into the stock on any dips beyond 5-10% to slowly add. I am a regular reader of your articles. I must say they that are not informative but also serve as good piece of guiding material for TA learners like me. I today’s article you have mentioned that new listings like Talwalkar may see massive upward movement. Actually the stock seems to be consolidating in 223-235 range for quite some days. Can u plz explain ur view by a chart for the same. Talwalkars is more of a gut feel and buzz 🙂 less of technicals. 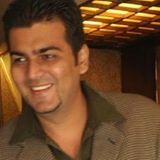 i read your articles from last year but this the first time i am leaving my comment , i always go through ur research and i also do my own research , i really feel the details given by you really works out for me many stocks i have bought as per your guidance and that has earned me a lot .. and i always keep following u.
I want to know about Bannari Spinning Mills Ltd. bought @Rs.150(2000shares)Please give me targets fundamentally& technically. Can it go to Rs.200 in short term. 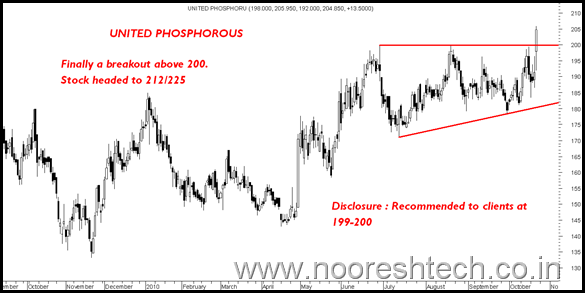 i was searching mr. tushar sompura after a very long time, as he i find the best analyst for me till date. here i found you and u impressed me sir, congratulations for such accuracy. i have GSPL @ 120 and i can hold for next 3 months. i also have MAGNUMVENTURES @ 12.51 (its high rate) i feel i got stuck in this stock , plz suggest me what should i do to escape from loss. i also have 1000 share of NHPC@32 and i can hold this share for atleast 3 yrs. according to your view how much return i can assume in this stock. thanx in advance for ur reply. GSPL is a long term story but short term could range between 110-140.
wat was the result of the one week trial given by you, will u provide all the calls with result and the final profit/loss amount. If you have received the trial you would no the performance and then u can decide. What is the best way to communicate to you guys other than phone? Mails to analyseindia@gmail.com seems to have long wait time…. Do you still recommend hold on Rico Auto and Andrew Yule? Rico Auto and Andrew Yule will test patience. CAN WE BUY RAMSARUP INDS AT CURRENT LVL.,PLS ADVICE / GUIDE ME IN THIS RGRDS. Well its a high risk high reward bet. 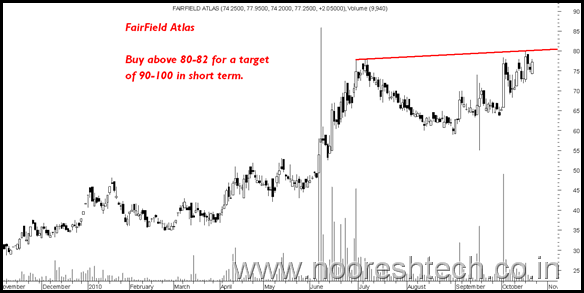 I have bought Fairfield Atlas @ 80.20.what would be the SL for Fairfield Atlas as its not mentioned in your technical pick? Keep a stop of 75. Do fundamental reading. any call on Astra Micro and Kalpena ind? they are lingering at the same price as you recommended in Aug.? can these be entered? Should JM be bought nw???????? Seems a buy at current levels. Any reasons behind upmove of relmedia? ?should we buy this underperformer? 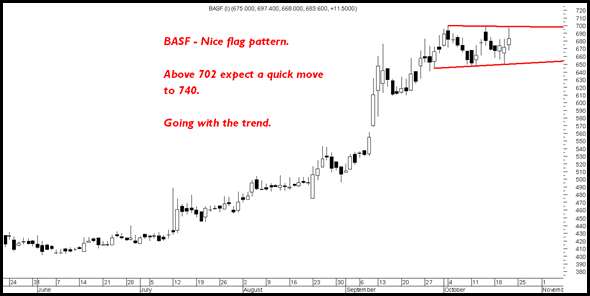 BASF TRADING ABOVE 702 CAN IT BE TAKEN AS A BREAKOUT OR IF IT CLOSES ABOVE 702 WE SHALL TAKE AS AN INDICATION OF BREAKOUT.